Just to clarify, Steve, are you referring to the S/T 'Deep Forest' album or the 'Sweet Lullaby' maxi-single? In my audio room, it's small - 9.5 x 12, if I go no or "slight" toe, everything is in front of me. If I toe to my ears with my laser level (just for consistency's sake), the backing vocals sort of "hover" out to the sides of the room. Now if I extreme-toe and cross the tweeters over in front of my head, it's almost more evident that way. Is there some correlation between small rooms and over toe? I have seen several posters speak of using extreme toe-in over in the Hardware forum and from memory, I seem to recall most are in smaller rooms. My speakers are DIYs so it's hard to give a real account of what they are, but they have ScanSpeak ring tweeters and time-aligned front baffles, for whatever that's worth. 2nd order crossovers, too. Edit - I'm referring to Waterloo Sunset, above. 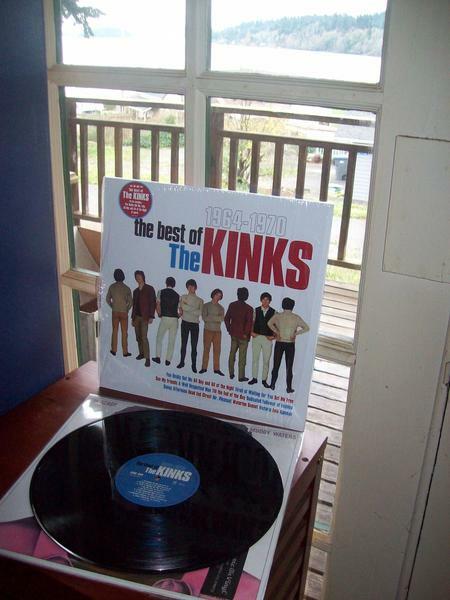 There are no stereo mixes for Kinda Kinks or Kontroversy, so if you see a Reprise pressing for either in stereo, avoid it. My room is 8 x 12, and I get the best results with my KEF LS50s with the drivers aimed at a point about 8 inches from the sides of my head. Good to know! I really want to try a set of LS50's in here. I just may, but the way I have my DIY's mounted on my subs, doing so with the LS50's could be tricky as I believe the KEFs are much smaller than my DIYs. Still, they seem darn near perfect for the space I have. By the way, one of the finest examples of this "vocals floating in the air" phenomenon that I've heard is on Rundgren's 'Hello It's Me' - specifically the background vocals on the Hoffman-mastered version on Rock Of The 70s/Reelin' in the Years. I've heard a LOT of versions of this song, and this one is by far my favorite - even better than the one on 'Super '70s'. Steve - if you see this and remember if there was a different approach to these 2 masterings, or if they came from different sources, I'd love to know the details! Those discs have the shorter single version. I haven't heard that in years... is it a different mix from the album version? Yeah, any of the material recorded between the first album and Face To Face, I believe. Kinks-Size has some stereo stuff that (originally on the UK 1st album). Well what do you know, I have the 2nd one. I will have to dig out !!! Good question. The only LP version I have is on the DTS quad of Something/Anything. I'll try to give that one a listen and report back. I can tell you that Steve's version on Rock of the 70s sounds slightly better than the Super '70s one, and a lot better than the one on the Rhino 2-disc Anthology. I'm assuming it's going to turn up on the new Sunny Afternoon compilation, too. The majority of Something Else has out-of-phase vocals. EXCLUDING THE NEW REMIXES ON ANTHOLOGY, do any of the songs have vintage 1967 in-phase stereo mixes? My thinking why "Waterloo Sunset" is out-of-phase on Anthology: the master tape containing this mix is lost. Perhaps not wanting to needledrop anything for the compilation, Sandoval decided to use the stereo mix. Either that or he's onto us and read this thread!!! As far as the topic goes: This was one of the threads that made me want to join this forum. I tried the experiment when I got the Something Else Deluxe back in November (I'd only had access to the mono all these years). This effect happens with many Something Else tracls, most notably, "Death Of A Clown". For whatever reason, Rasa's backing vocals seem to have this out-of-phase effect. Can anyone confirm if this is the right mix? I kind of hear it but I'm unsure. For me its not as dramatic as I thought it was going to be. Yeah. Place them in a soundproof room with a lock on the door. trd and kBear like this. That's better, its not subtle is it? I'll have a play with positioning later , thanks for the upload. The things you're actually entitled to control. My head whipped around a few times following the music. this thread today and all is cleared up. I don't have this problem any longer. Tried this yesterday and it worked like a charm. Between this and "The Bing Test" I had a friend's speakers set up correctly in under 10 minutes..
Dino, dirtymac and Dee Zee like this.